In this modern era of the Internet, security and privacy issues are a huge concern. 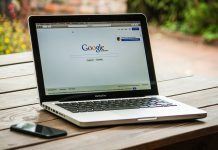 If your device is connected to the Internet, then all your device data is prone to attacks by malicious software. However, with the use of Firewall, you can restrict specific connection for an app and prevent your confidential data. Here’s How to add Firewall to your Android for Safe Browsing. A Firewall is designed to protect your device from unauthorized access to and from any private network. A Firewall can be implemented either by a software or with the help of Hardware or both. It is a security mechanism by which you can block suspicious IP’s from accessing your system. Why Use FireWall in Android? Many apps use your Data connection, collect and send your confidential data anonymously. With the help of Firewall, you can block those apps or specific IP address from accessing the Internet or your device. In Windows, Mac and Linux Operating Systems, there are inbuilt Firewall services which adds protection to your device while browsing the Internet. In case of Android, we don’t have any such option. So, by using some apps you can easily set up Firewall services to your Android Device and be safe from Malicious Softwares and attacks. We are listing some Free apps, which you can install and use Firewall services without rooting your device. How to add Firewall to your Android Device. 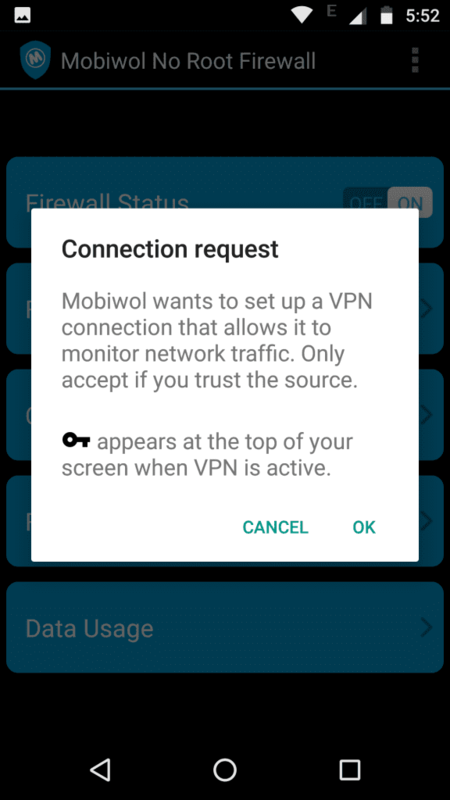 Mobiwol is a Firewall app which doesn’t require root permission of your device. You can download it from Google Play Store and use it for free. This app saves your Mobile Data, Battery usage along with preventing you from Malicious Attacks. Download and Install the app from Playstore and once installed, launch the app. Wait for the app to load. 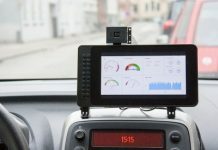 Initially, it will load all the system information and then you can process further. You will see a screen like this while loading. After the app has been loaded, you need to turn On the Firewall service. In the next step, it will require certain permission to set up the VPN (Virtual Private Network) connection. Click OK to grant the permission. 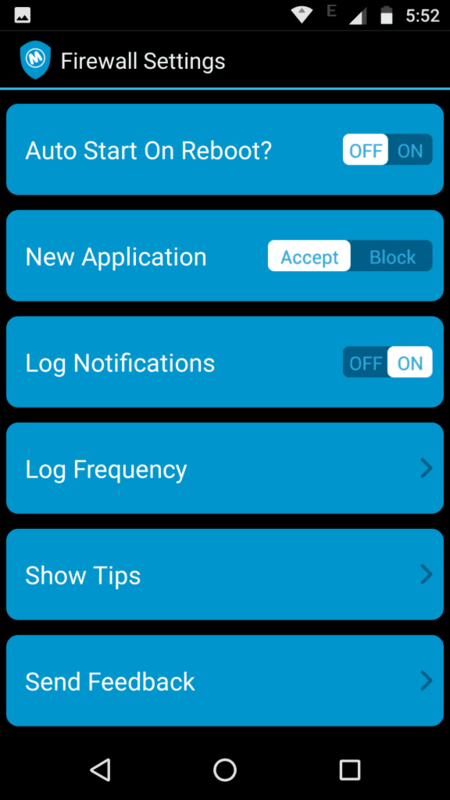 This will help the app to monitor the Network Traffic of your device. In the next screen, you will need to navigate to the Firewall Rules. A list of all the apps installed on your device will appear. Simply select the apps you need to connect to the Firewall and monitor its data usage. 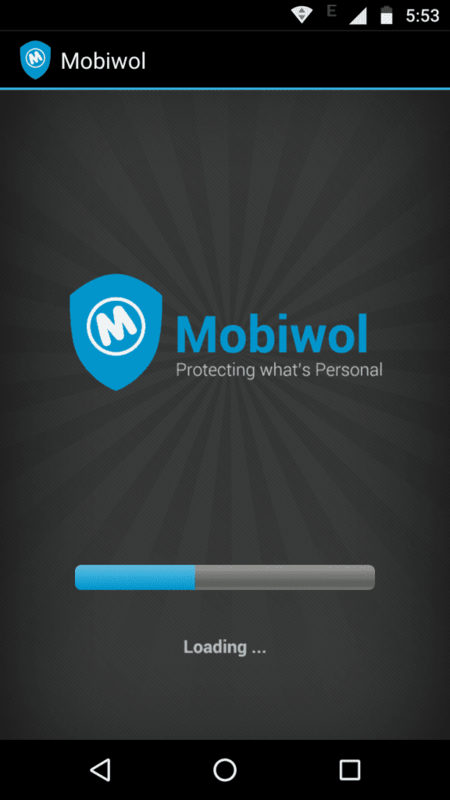 Click here to Download MobiWol- No Root Firewall from Google Play Store. 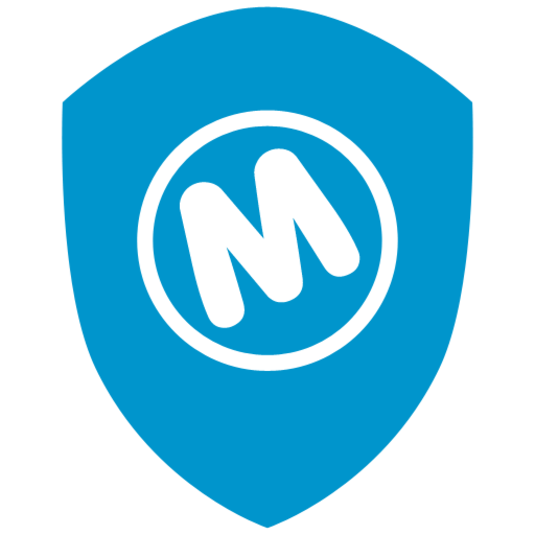 Apart from Mobiwol, there are many similar apps which provide you Firewall service free of cost. Some Require root permission while some don’t. You can download and use any of them. The steps remain the same with minor changes and different UI. 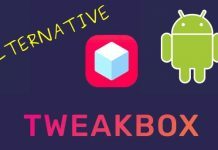 Here are some more similar apps that you can use to add Firewall to your Android device. Turbo VPN – Unlimited Free VPN– Download Link. NetGuard – no-root firewall- Download Link. In case of any queries/ Suggestions, comment down below. We will try to get back to you as soon as possible.